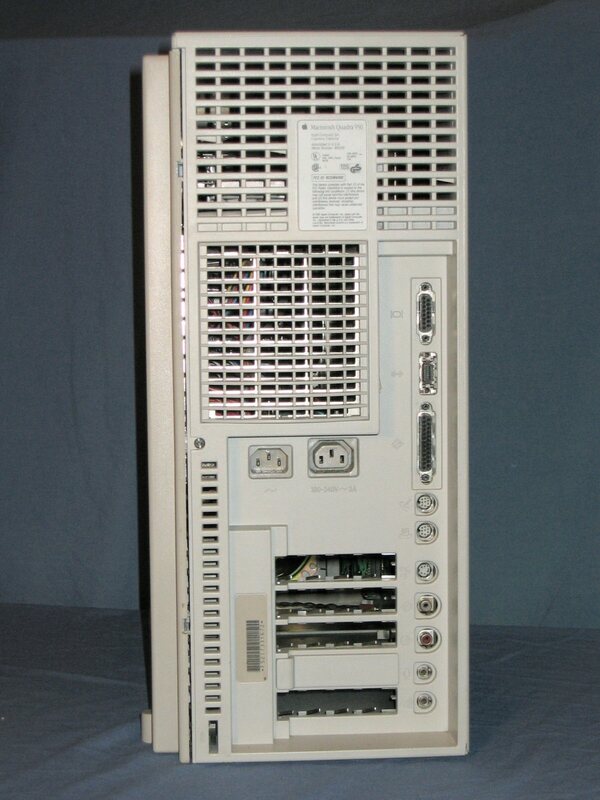 In November 2004 I obtained this system through eBay. 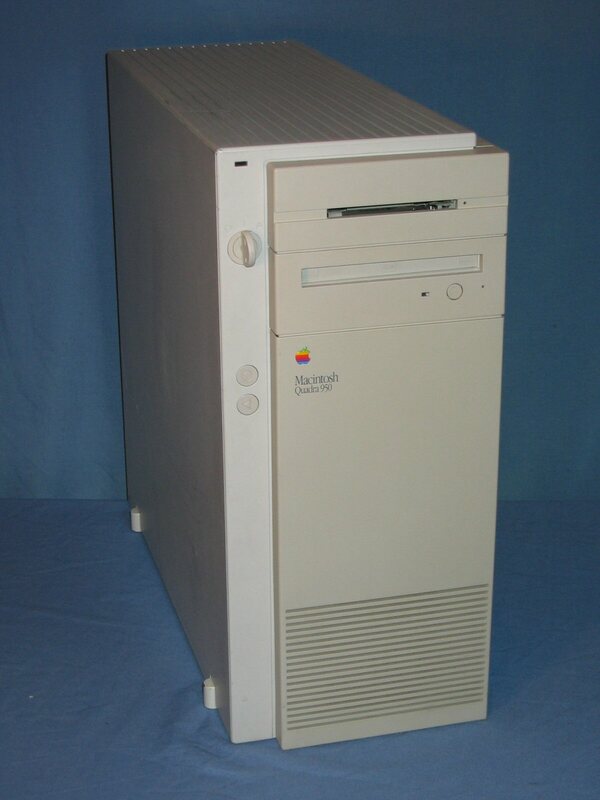 The front of this huge unit (both in size and weight) features a floppy drive, CD-ROM drive (caddy), reset switch, programmers switch and a keyed power switch. 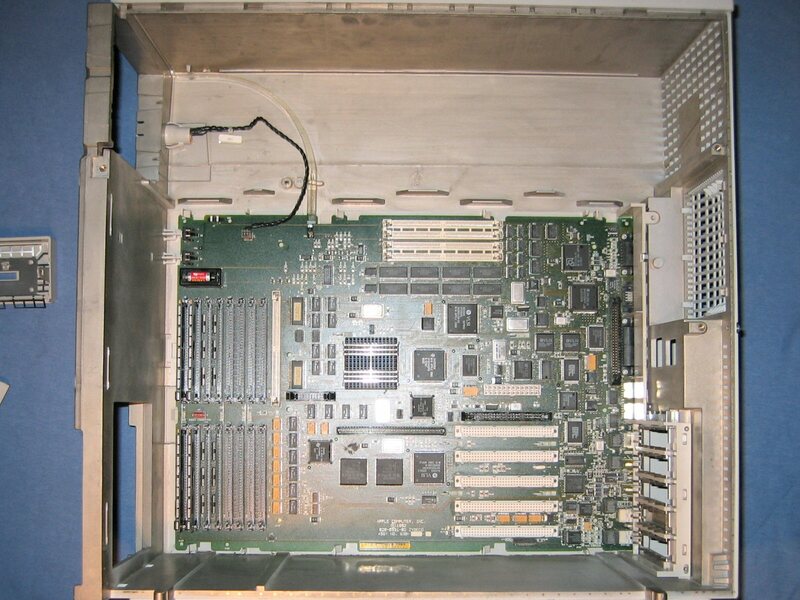 The rear of the unit features the standard assortment of ports up the right hand side and the back of the five NuBus slots at the bottom. 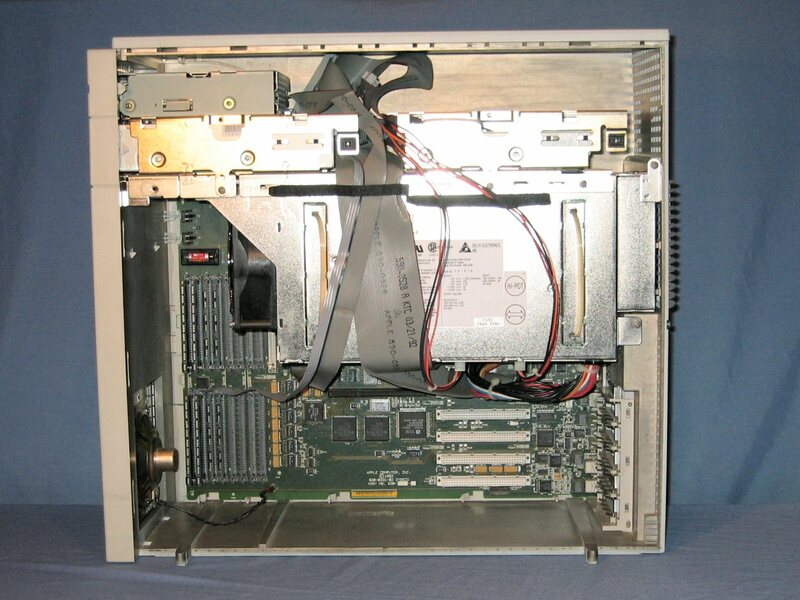 With the side panel removed it can be seen that the power supply is in the middle of the case with the drives above and expansion cards below. With the power supply and drive cage removed the sheer size of the logic board can be experienced. 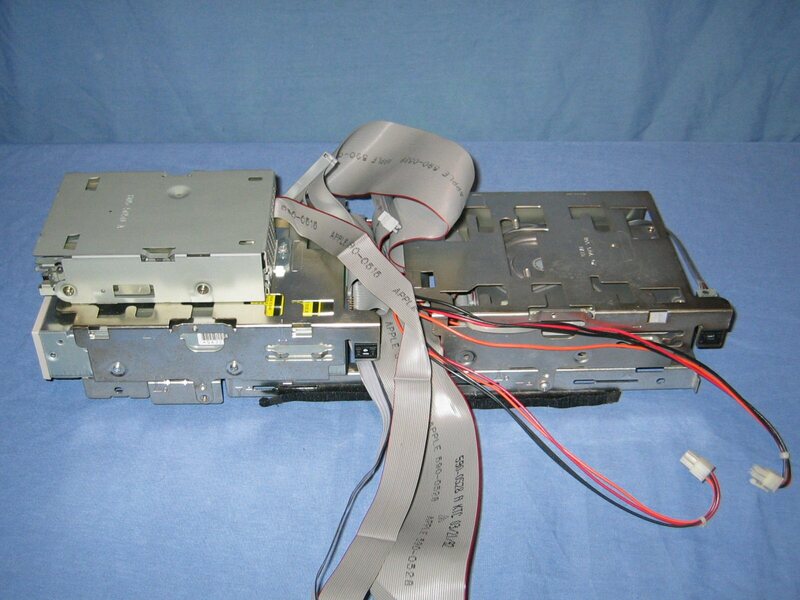 The drive cage holds the CD-ROM, floppy and two hard drives and incorporates features such as SCSI ID selectors and velcro to keep the cables tidy. 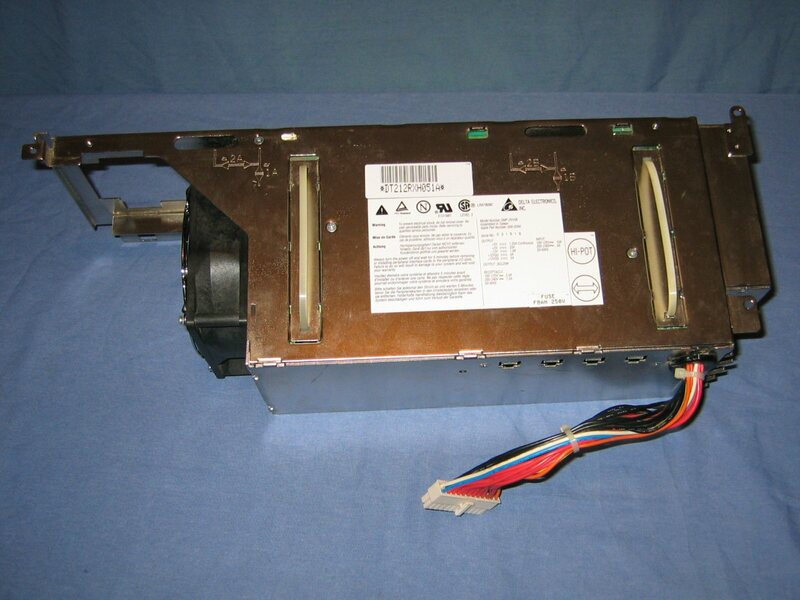 The power supply removed from the case. The two white cable ties actually serve as handles to aid removal.